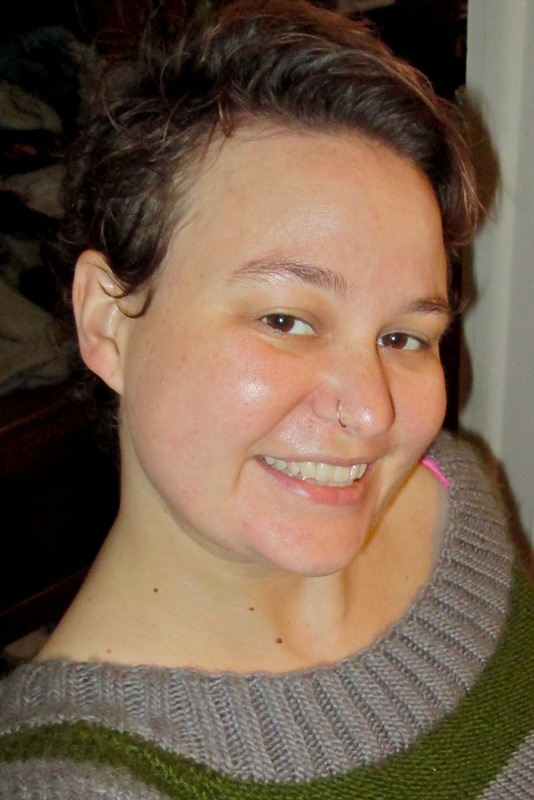 Chrissy is a crochet ninja who owns a small handmade business The Pink Woobie. She also blogs about her life with Fibromyalgia and other chronic illness, as well as her crafty-ness here. Follow her on Twitter to get the real scoop @thepinkwoobie. Do you love handmade? Are you not crafty, but looking to encourage someone who is? Has a loved one wanted to learn to crochet, but they don't know where to start? I've put this simple gift guide together to help you pick out the right supplies and accessories for a perfect and enjoyable gift. There are only two items one needs to begin the hobby of crochet. The hook- the basic tool of crochet is a crochet hook. These hooks come in many sizes, shapes, colors, and are made from many different materials. Crochet hook sizes are measured in both millimeters, and by letters. Patterns and instructions in the United States are usually written using a letter to denote the size of hook required. For a beginner crocheter I would recommend a mid-sized hook, which would be either an I or a J. If you are looking to purchase a set of crochet hooks the set should include a size G and H as well as the I and J. Most large craft stores will have pre-packaged sets of hooks, and they will often come in a convenient organizer. In my opinion, while hook sets make a great gift, a single hook is all one needs to begin crocheting and requires minimal investment in a new hobby. The shape of crochet hooks often becomes a point of personal preference. A basic crochet hook has a simple cylindrical shaft and handle, with a blunt point at the hook. Hooks can have a thumb rest, and some even have soft grip handles. There are also a number of artisan made hooks that are carved for an ergonomic grip. The different aspects of the shape of a crochet hook is something that the crocheter themselves will come to prefer, but is not much concern for the beginner. 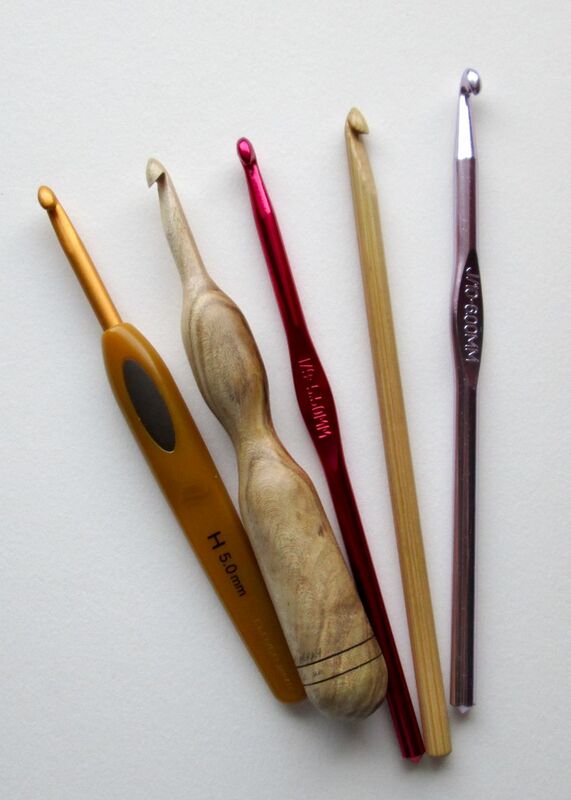 When choosing a crochet hook as a gift, one can choose an inexpensive and basic aluminum hook. However, hooks can also come in different materials such as acrylic or bamboo. As expected bamboo hooks are usually slightly more expensive than a basic aluminum hook, but enjoyable to use. Again the composition of a hook often falls to personal preference in the experienced crocheter and often does not matter to a beginner. The yarn- For someone who is not educated about the differences of sizes, weights, and fibers that make up yarn, purchasing yarn as a gift can be quite overwhelming. Because I have suggested a mid-sized crochet hook, you should buy the accompanying yarn that one would use with said hook. 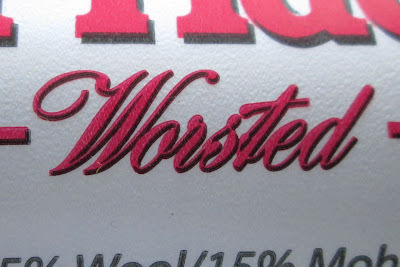 Worsted weight yarn is the most common for a beginner crocheter to work with. 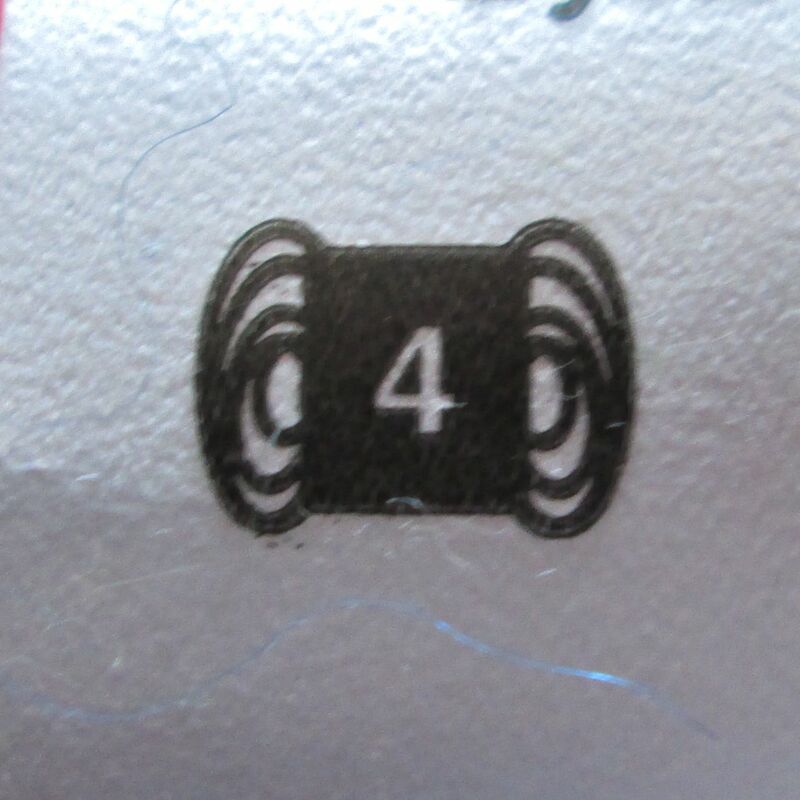 It will be labeled as worsted weight and most likely will have a symbol with the number 4 located on it. A skein of yarn can come in many sizes which are measured by ounces and yardage. To include in your gift I would recommend purchasing two skeins of yarn. Yarn can pretty much be made from any thing, and a quick look around a yarn shop are the yarn section of a large craft store will prove this. The most common fiber for beginners to work with is usually acrylic, this is because it is inexpensive and durable, allowing the user to practice and tear apart projects when a mistake is made. Wool is another great option for beginners and adds a slight luxury to the hobby. An acrylic/wool blend yarn is also a great option for a beginner gift. Now that we have the basic necessities for crochet gift giving taken care of, I'd like to add a few accessories that every crochet eventually finds themselves using. You can include as many or as few of these as you'd like with your beginner crochet gift. Scissors- When working with yarn, the first thing one will ultimately find themselves needing is a pair of scissors. I use a very small pair of scissors that I keep with my hooks and yarn at all times. My scissors also have a blunted tip so that if they get lost in my chair I don't get poked with them. Yarn needles- After a crochet project has been completed there will ultimately be yarn ends that require a needle to weave into the finished object. I have many of these as they often end up getting lost in balls of yarn or otherwise misplaced. A measuring tape- I use a measuring tape with almost every project. I check my gauge to make sure my size is right, or measure a hat to make sure it will fit the head it is intended for. While any measuring device will work, and I have pictured a traditional sewing measuring tape, I want to also recommend looking for retractable measuring tape. It's compact and easy to use. I feel lost without mine, which I currently can't find. Stitch markers- (not pictured) Stitch markers are anything that used to mark out particular places in a crochet project. I often use old earrings, and yarn scraps. But one can also buy stitch markers and can be helpful to a beginner crocheter. Project bag- Last but not least may I suggest a bag to hold all these wonderful gift items. A simple drawstring bag is perfect. I personally keep each project I am working on in an individual bag so it is easy to grab and go with. 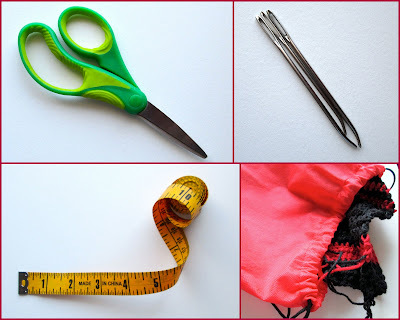 A bag to keep everything together keeps frustration low when one sits down to work on a project everything they need including their scissors, needles, and hook are all in one place. I have only covered the items needed to begin learning to crochet in this post. There is of course the actual lessons, patterns, books, etc that a beginner will need. The internet is a wonderful place to find these things. I am almost completely self taught and have learned many things by doing a simple google search. Also many craft stores, yarn brands, etc. have videos, patterns, and more for a beginner to learn from. I hope you find this quick guide useful, and that your loved one will be crocheting you potholders in no time! Today is the last day to comments on my Cans for Comments post!! Please stop over and show some comment love. I am donating a can of food to a local food pantry for every 3 comments I get. I am also donating $1 to the Newtown Youth & Family Services for every 3 comments. It only takes a few minutes to leave a comment. Pretty please? Thank you!